Warwick High School is proud to recognize senior Gregory Sirico as this weeks’ Bill Garcia Agency Allstate Student-Athlete of the Week. The senior two-sport standout is a two-year starter at midfield (LSM) for the Wildcats boys lacrosse team and senior captain of the football team where he played receiver. The Wildcats lacrosse team is currently at 6-2, with big wins over Kingston and Arlington. 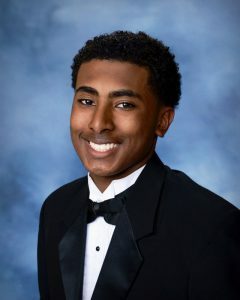 Gregory maintains an overall grade point average of 92.9, which includes challenging courses in AP US history, AP English and AP government for college credit. Gregory is a member of the National Honor Society and recognized by the NYSPHSAA as a scholar-athlete in football and lacrosse. A partner for the Warwick unified basketball team in cooperation with Special Olympics NY, Gregory recently received SUNY Orange’s Sojourner Truth Award for Perseverance. He has committed to Cortland State University where he will play football for the Red Dragons this fall and study physical education. Gregory is the son of Lori and Greg Sirico of Warwick. His brother Dominic and sister Julia are both freshman student-athletes.